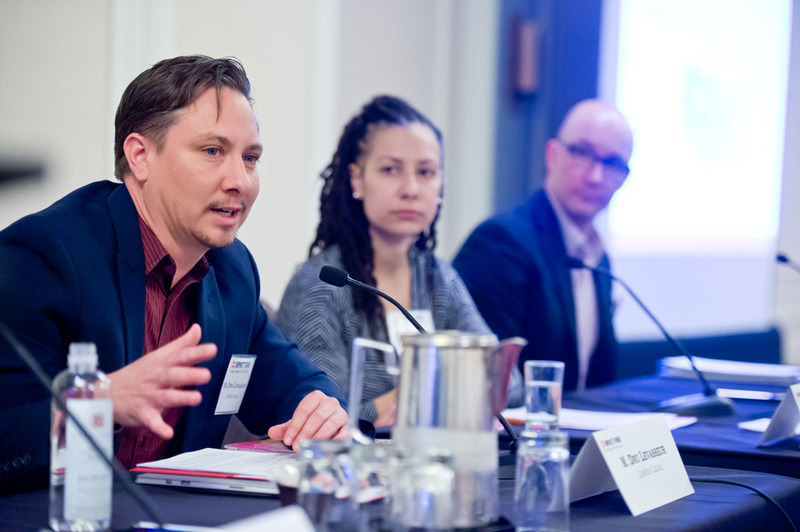 Over 200 plaintiff-side class action attorneys and advocates gathered at the premier national conference for nonprofits, private practice, government, and academia committed to social justice. Holding corporate America and government accountable is what they do. How they do it is the content of this conference. Save the date for 2020: February 20 & 21. 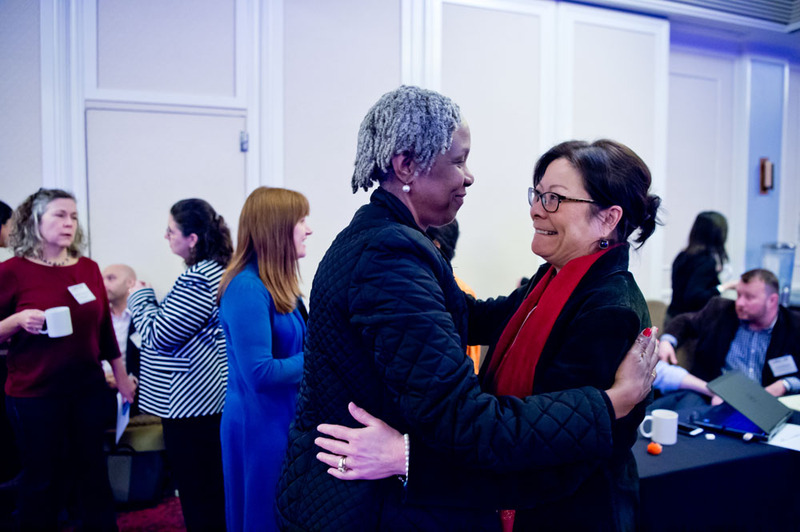 Over 250 plaintiff-side class action attorneys and advocates gathered at the premier national gathering for nonprofits, private practice, government, and academia committed to social justice. Each year, Impact Fund hosts this invitation-only event to bring together leading plaintiffs' class action practitioners to discuss important new developments, share knowledge and ideas, and develop strategies for the future. 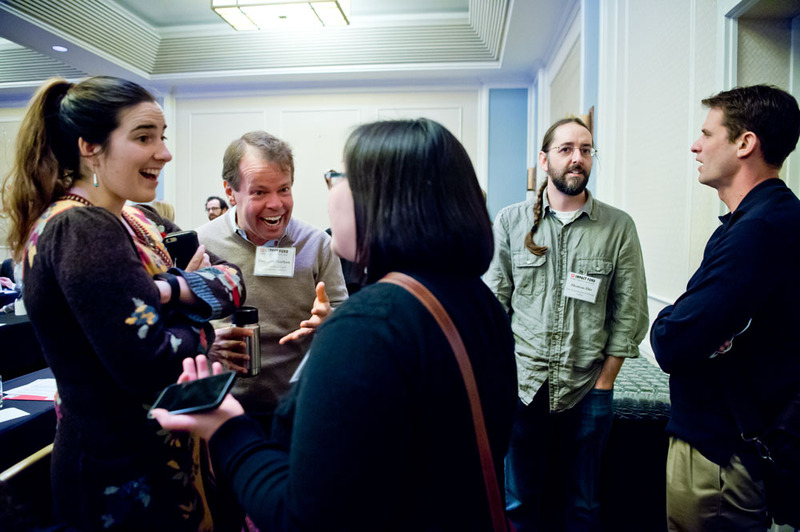 The conference provides an unparalleled opportunity for attendees to connect and forge relationships with like-minded advocates across the country. For the full agenda click here. For an invitation to attend the conference email Lindsay. Registration rates start as low as $40 for students, $85 for nonprofit practitioners, $200 for government/academia and $600 for practitioners in private practice. Sponsorship packages that include complimentary registrations are available for law firms. Contact Teddy for more information. Thank you to everyone who attended the 2016 conference. We saw a 50% rise in attendance and welcomed 190 class action practitioners for two days of sharing best practices, inspiration and networking. 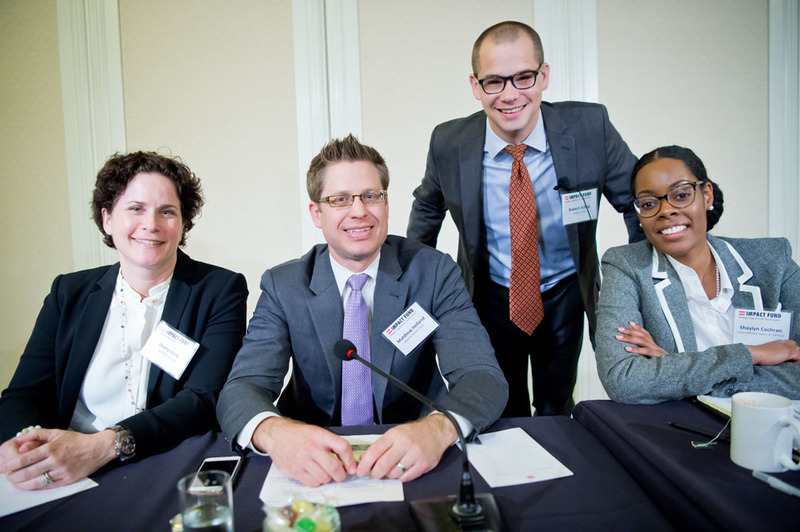 The 14th Annual Impact Fund Class Action Conference took place February 18 & 19, 2016, in San Francisco, California. This is an annual, invitation only conference for the nation’s leading plaintiff-side public interest class action practitioners, academics, and students. If you are interested in attending future conferences, please email Lindsay Nako. Over two days in February 2015, we convened our Thirteenth Annual Class Action Conference in Berkeley, California. Once again, the room was busting at the seams. 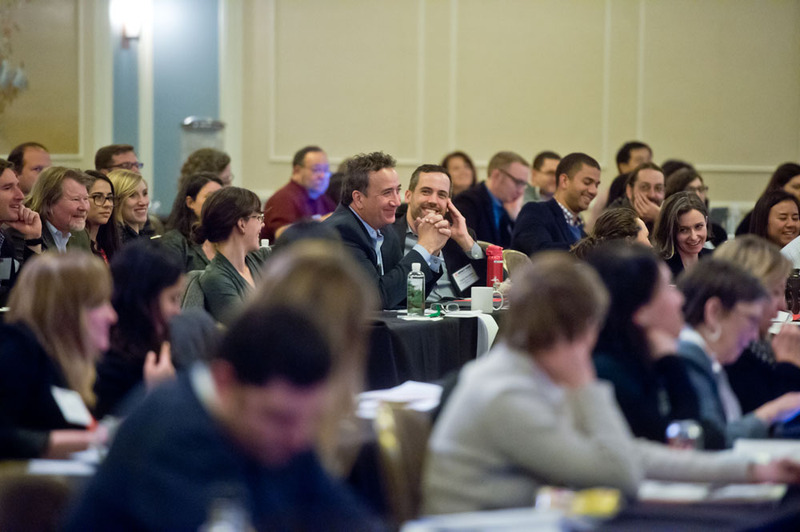 Over 140 practitioners from around the country gathered to share knowledge and ideas regarding current issues in class action litigation, and to forge alliances that will allow the next generation of advocates to join together to help those who need it most. 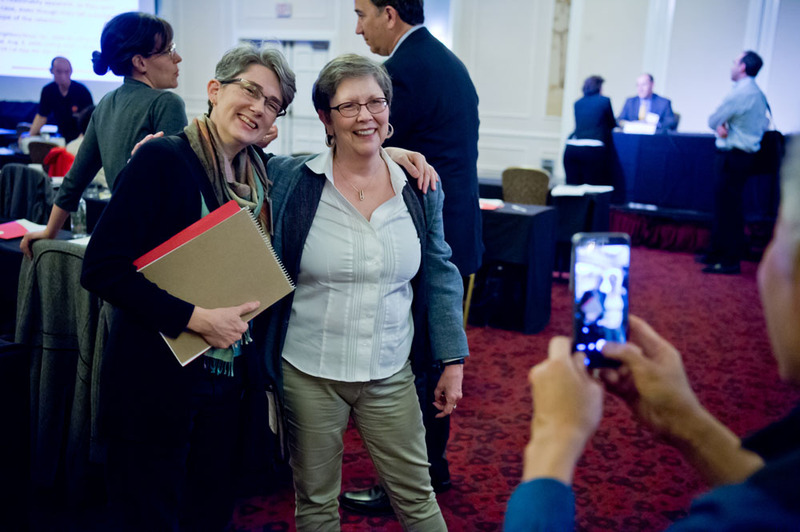 One of the many highlights from this year’s conference was a presentation by Jocelyn Larkin of the Impact Fund, along with Karen Jo Koonan and Sonia Chopra of the National Jury Project, regarding the way class actions are perceived in our society. The panel shared the results of a series of focus groups commissioned by the Impact Fund and specifically designed to test the knowledge, beliefs and, attitudes held by Americans across the political spectrum. The presentation inspired a lively and enlightening discussion on the state of class actions, and what needs to be done to educate the public on the utility of class actions as a means of achieving social justice. Other highlights included an informative panel covering proposed amendments to Rule 23 of the Federal Rules of Civil Procedure, featuring Elizabeth J. Cabraser of Lieff Cabraser Heimann & Bernstein, Paul Bland of Public Justice, and Alexandra Lahav of the University of Connecticut School of Law. Conference attendees also heard from two experienced attorneys from the other side of the bar regarding common plaintiffs’ mistakes from the defense perspective. The conference wrapped up with an insightful discussion of strategies for trying class actions from some of the country’s most experienced class action litigators, including Anna P. Prakash of Nichols Kaster, Barry Goldstein of Goldstein Borgen Dardarian & Ho, Todd Jackson of Lewis, Feinberg Lee & Jackson, and Katherine Kimpel of Sanford Heisler Kimpel. 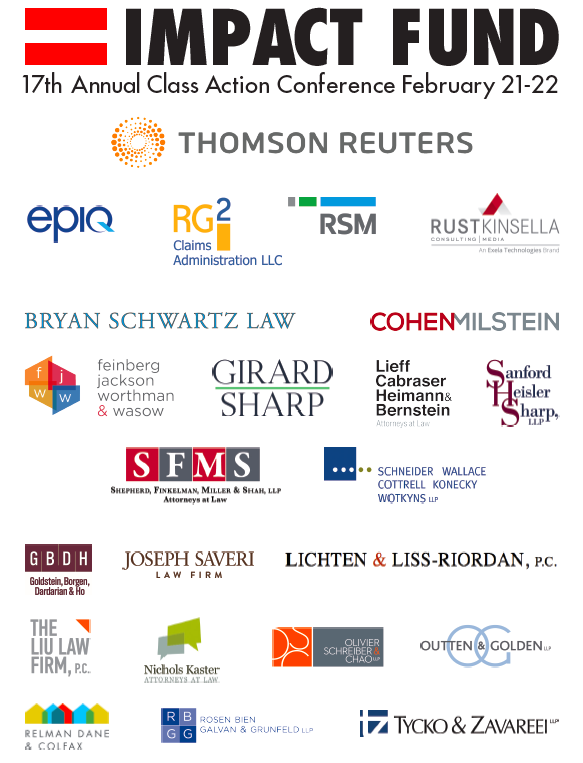 We would like to thank all of the conference sponsors, panelists, and attendees for their support and commitment to using the legal system to fight for justice for those most in need. 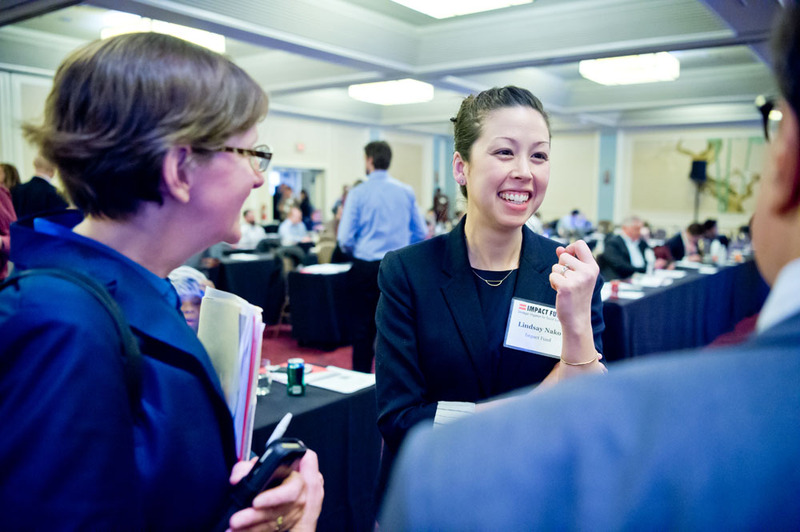 February 27 & 28, 2014 – The Impact Fund held its 12th Annual Class Action Conference at the Waterfront Hotel in Jack London Square. This year’s conference attracted over 130 class action practitioners from around the country, including attorneys from private law firms, non-profit organizations, and government agencies. Over the course of the two-day event, attendees heard from some of the nation’s most experienced litigators on a variety of important issues, such as ascertainability, class actions with uninjured class members, Rule 23(c)(4) issue certification, and Rule 68 offers of judgment. The conference included an inspiring presentation by Suzanne Bish of Stowell & Friedman, who represented the plaintiffs in the highly-publicizedMcReynolds v. Merill Lynch race discrimination class action. Ms. Bish recounted the many challenges that the legal team and their clients experienced in the course of the litigation, which ultimately resulted in a ground-breaking class certification decision from the Seventh Circuit Court of Appeals and one of the year’s most important settlements. Other highlights included a thought-provoking discussion of ascertainability and uninjured class members by Deepak Gupta of Gupta Beck and Prof. Joshua Davis of the University of San Francisco School of Law, and a rousing review of Rule 68 offers of judgment from Paul Bland of Public Justice. EEOC Commissioner Jenny Yang and General Counsel David Lopez closed out the conference with an update on the EEOC’s systemic enforcement litigation efforts. We would like to thank all of the panelists, attendees, and conference sponsors for their support and unwavering commitment to social justice. We’re looking forward to another great event next year.